Do you want free coupons by mail? Who doesn’t – a bunch of money-saving paper coupons sent right to your doorstep is a saver’s dream! Coupons are such a great tool for saving money. In fact, reports suggest that using coupons can save you $200 a month. So, you definitely don’t want to miss out. And while there are a lot of great sites to get coupons, including places where you can print free coupons, a lot of people would like to get coupons sent right to their mailbox, but they don’t know where to start. Getting coupons by mail is much easier than you would think! There are tons of companies out there willing to mail out coupons and plenty of other ways that you can get your hands on paper coupons as well. If you’ve been wondering how to get coupons mailed to you, then check out our post. There are a few ways that you can get free coupons by mail. And, it’s actually much easier than you’d think! 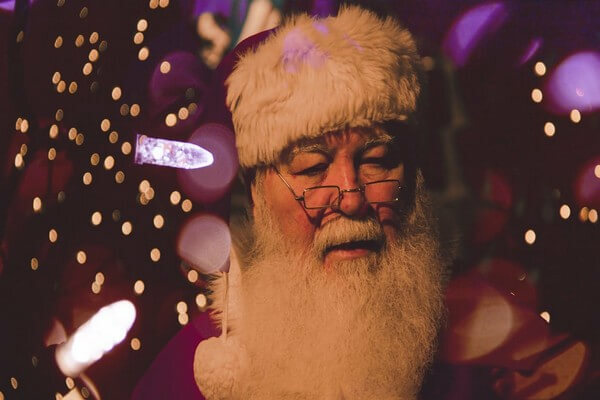 Of course, you do have to put in a little effort – but it’s really a minuscule amount of effort compared to the amount of savings that these coupons deliver. Below, we’ve listed a few ways that you can get coupons sent right to your mailbox. There are so many ways to get coupons, but one of the most effective ways and our number one tip for getting free coupons by mail is to simply contact companies directly. Many companies, from diaper brands to clothing retailers, provide coupons to customers who simply ask for them. You won’t necessarily find these companies advertising these free coupons on their sites. But, these companies have been known to mail out free coupons. A quick note though – you’re not necessarily going to get a coupon from every single one of these companies. While these brands have been known to mail out coupons in the past, it doesn’t mean that they constantly offer them. So companies may only offer coupons at certain times of the year. Do contact as many as you can though, as you’ll increase the chances of getting those great free coupons to your mailbox! 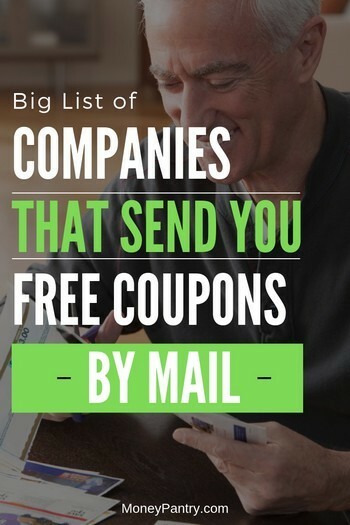 Below, we’ve provided a huge list of companies that mail coupons upon request. Before we get onto the list, here’s a quick overview of how to get free coupons from these companies. Each place differs – some will have a contact form that you need to fill out, whereas others will just list their email address. Even if the site doesn’t have a form that requires you to enter your address, make sure that you give it. It’s important to give these companies your address so that they know where to send your coupons. You want to make it as easy as possible for these brands to send you coupons. We’d recommend keeping a spreadsheet or a Word document that lists all of the companies that you’ve contacted, along with the date on which you contact them. Doing this allows you to stay on track with your couponing endeavor. Also, tools, like Google’s AutoFill are useful, because they automatically fill in your information, such as your address or phone number. This saves you having to enter the same information over and over again when contacting brands. In terms of how long it will actually take for you to receive your free coupons – it depends. Some companies may send out coupons right away, so you’ll get them pretty quickly. On the other hand, with some companies, you might have to wait six weeks or more. With coupons, it’s best to be patient. Just contact as many companies as you can, and then wait for your coupons to arrive. If you’ve been in touch with a lot of brands, then it’s likely you’ll start to get a steady stream of coupons. And, then even if you do have to wait a couple of months to get coupons from one company, you’ll still have coupons in the meantime from the companies that send them out faster. In terms of what to say in the message, it’s really up to you. But, it’s a good idea to mention how much you love the brand’s products, and that you would like to try more. Then just ask the company whether they send coupons because you really would like to try out their products! Now that you have a few tips for requesting coupons, we’re going to give you a list of companies to contact. Abreva is a brand that sells cold sore creams. You can get coupons for the brand by visiting this page. It’s actually a coupon request form! So it’s really easy to get coupons from Abreva. Just fill out the form – you’ll only need to enter basic details, like your name and zip code. You’ll get an Abreva coupon that’s worth $1.50. Probiotic brand Activia has a few different ways you can get in touch. You can email, phone or write to the brand. Just visit this page and select the contact method that best suits you. AllWhites Egg Whites is a brand of liquid egg whites. You can contact the company by phone or email. Choose the method of contact you want here. Noodle brand Amish Kitchens Egg Noodles provides a few methods of contact, which you can view here. You can call, email or write to the brand and request coupons. If you fill out the email form to contact the company, there’s a “coupon requests” option in the subject dropdown menu. You can email, call, or write to Angel Soft. Visit this page to choose the method of contact that you want. Angelic Bakehouse, which is a brand that offers baked goods, is another company that offers a few means of contact. You can call the company. Or you can email the company. Just visit this page to get the contact details. If you email the company, you’ll just need to provide basic details, such as your name, address, email address, and telephone number. Arm & Hammer make some great products and you can get them at a discount! All you need to do is contact the company, which you can do by visiting this page. You will need to enter details like your name and email address – and don’t forget to include your physical address too, as these companies need to know where they can send your free coupons. Barber Foods is a company that makes frozen entrees. You’ll need to include some basic information, such as your name and address. Popular frozen food brand Birds Eye has been known to offer free coupons to customers by mail. Contact Birds Eye here if you want to get some free coupons. Sandwich brand Buddig has been known to mail out coupons. You can visit this page to get in touch with the company. The company can be contacted by phone, or you can fill out a contact form. You’ll need to give details such as your first name, email address, and mailing address. Bumble Bee Foods, which offers tuna and other seafood products, is another company that you can contact for coupons. You’ll just need to provide basic information, such as your name and address – as you do for most of the companies on this list. You can also write to the company. The company’s address can be found on the website which we linked to above. Skincare company Burt’s Bees offer a number of different means of contact. You can phone, write to, or email the company. Just visit this page to contact Burt’s Bees for a coupon. Bush’s Beans is a canned beans brand that you can contact to get free coupons. There are a few ways to contact the company. Twitter, Facebook, and phone are all options. Also, you can fill out a contact form – you’ll just need to enter all of the usual information, such as your name, phone number, address, and email address. Visit this page to view contact options for the company. Vermont-based dairy product brand Cabot Creamery has a contact form that you can use to get free coupons. Visit this page to contact the company. Caesar Cardini’s, which produces salad dressings and croutons, has a few ways that you can contact them to request coupons in the mail. You can call or write to the company. Or, you can fill out its contact form. Visit this page to get in touch with Caesar Cardini’s. Campbell’s Soup Company has quite a few ways that you can get in touch. You can email, call, or write to the company. Also, you can get in touch with Campbell’s Soup on Twitter. Get in touch with the company here. Rice brand Carolina Rice provides a few means of contact. You can send an email or fax, or you can send the company a letter. To contact the company, visit this page. Celestial Seasonings is a tea brand. You can contact the company for coupons by filling out the contact form on this page. As with most contact forms from other companies on this list, you’ll just need to provide basic details, such as your name, phone number, and address. Chatham Village Croutons has a few ways that you can get in touch to get some money-saving coupons. You can write to the company. Or, you can get in touch by phone. Also, you an email Chatham Village Croutons by using the contact form on the company’s website. Visit this page for contact options. Get coupons for canned seafood products from Chicken of the Sea. The company has a contact form that you can complete – you’ll just need the usual information, like your name and address. The form also includes a “reason for contact” menu, which features various dropdown options. So, make sure that you select “coupons” from the menu. Visit this page for the contact form. Chiquita, which is a brand of bananas, has a contact form that you can fill out to request coupons. On the dropdown menu, under subject, there’s a “question/request” option, which is handy. You can contact Chiquita by visiting this page. You can get coupons from Claritin and other Bayer Brands by contacting the company. There’s a form that you can fill out, which you can find on this page. Aside from a contact form, the company also has a few other contact options. To get in touch with any of Bayer’s brands, you can call them. Just visit the page that we linked to above to see numbers for the company’s different brands. Do you want some coupons for cleaning products? The company has a few ways that customers can get in touch. You can phone, email, and write to Clorox and request coupons. Coleman Natural is a food company that produces organic meat products, such as burgers, sausages, and chicken hot dogs. You can call, or write to the company. Or you can fill out the email submission form on the website. If you’re looking to save money on beauty products then get in touch with CoverGirl. You might be able to get a cosmetics coupon! Just fill out a simple contact form to request your free coupons. Cottage cheese and sour cream company Daisy Brand has been known to provide coupons to customers who request them. Visit this page and fill out the contact form to request your coupons. You can also contact the company by phone or mail – just visit the contact form page, and the brand’s phone number and mailing address can be found on the right side of the screen. Dannon sells more than 200 different flavors, styles and sizes of dairy products and is known for its yogurts. This is another company that gives you quite a few ways to get in touch. You can fill out a contact form to request coupons. Or you can talk to a customer service agent using the live chat feature. You can also contact the company by phone or letter. Save money on soap and body wash by requesting a coupon from Dial Soap. The company has a contact form that you can use to request coupons. You can also call Dial Soap and chat with the brand on Twitter. Visit this page to contact Dial Soap. Fresh fruits and vegetables company Dole has been known to provide free coupons to customers. There’s a contact form that you can use to request coupons. Also, you can email, phone, or write to the company. Visit this page for Dole Food Company’s contact details. Skincare brand Dove has been known to mail out free coupons to customers who get in touch. There are a few different ways that you can get in touch with Dove. You can chat with a customer service agent using the live chat feature. Also, you can send a web inquiry, call Dove, or write to the brand. Visit this page to get in touch with Dove and request your coupon. Berry Brand Driscoll’s has been known to give out coupons to customers. Just contact Driscoll’s and ask. To get started, visit this page. Then just choose the contact option that best suits you. There are a few contact options available. You can email, phone, or write to the company to request free Driscoll’s coupons. Save money on duct tape and packaging, moving, and shipping tape with Duck Brand coupons. You can fill out the contact form here to request coupons from Duck Brand. Also, you can contact Duck Brand by phone or by letter – just visit the contact form page to get the contact details. Natural food company Eden Foods has a contact page that you can visit. You can contact the company by phone or mail. Also, you can contact the company by fax. There’s also an email address on the contact page that you can use to get in touch regarding coupons. Finally, you can fill out the contact form on the contact page to request free coupons. Visit the Eden Foods contact page here. Do you want to save money on ice cream? Well, you can with Edy’s Ice Cream coupon. Just fill out the form on this page to request a coupon. Eggs are one of those staples that we often buy – so why not try to save money on them? Handily enough, Eggland’s Best has been known to mail out coupons to customers who ask for them. Eggland’s Best is a distributor of farm-fresh, USDA approved eggs. Just visit this page and fill out the contact form to request your Eggland’s Best coupon. You can also write to the company – its mailing address is listed on the page that we linked to above. So get in touch and save money on eggs. You could save money on Energizer batteries just by getting in touch with the company. The company has been known to mail out coupons to customers who request them. Then, choose the method by which you want to contact the company. There are a couple of different contact methods available. You can contact Energizer via email. Another way to request Energizer coupons is to use the live chat feature. You’ll be able to chat with a customer service agent online. Save money on more than 100 sweet baked goods with Entenmann’s coupons. You can get in touch with the company and request coupons for baked goods like donuts, crumb cakes, and chocolate chip cookies. Fill out the contact form on this page to get in touch with the company. There’s also a live chat feature that you can use to chat with the company’s customer service agents. Also, you can contact Entenmann’s via phone. For the live chat and phone options, just visit the page that we linked to above for the contact form. Purina brand Fancy Feast – which offers gourmet cat food – has a contact form you can use to request coupons. Contact the company by filling out the contact form on this page. You can also get in touch by calling Fancy Feast. Also, there’s a live chat feature on the contact page that you can use to request coupons from a customer service agent. You can save money on Fiber One bars, treats, cereals, and other products from the brand by requesting coupons. You can fill out the email form at the bottom of the contact page. Or you can call Fiber One. Finally, you can contact the company by mail. To fill out the contact form for the company, or to get the contact details that you need to contact Fiber One by phone or mail, visit this page. Another company to contact if you’re looking for coupons for cleaning products is Formula 409. You can get in touch with the company in a few different ways. You can contact Formula 409 by phone or email form. Visit this page to get the phone number for Formula 409 or to email the company. You can get General Mills coupons by contacting the company. General Mills, which owns tons of brands, like Old El Paso, Cheerios, Pillsbury, Häagen-Dazs and Bugles, sometimes sends out coupons to customers who ask for them. You can request coupons from General Mills in a few ways. You can email, phone, or write a letter to the company. Just visit this page to contact General Mills. Get a discount on salad dressings with Girard’s coupons. You can contact the company in a number of ways to ask for coupons. You can write to, call, or email Girard’s. If you want to save money on cleaning products, then contact Green Works Cleaners. The brand has been known to mail out discount coupons for cleaning products. Just fill out the contact form on this page to request Green Works Cleaners coupons. You can call or text Hershey to request coupons. Visit this page to get Hershey’s contact number. Organic tea brand Honest Tea has been known to send out coupons to customers. Just visit this page, and fill out the contact form – or scroll to the bottom of the page for the brand’s contact details. If you want some Hostess coupons then visit this page. You can fill out the contact form to request coupons. Or you can use one of the contact numbers on the right side of the page to contact Hostess over the phone. Get money off Hot Pockets’ products with money-saving coupons. If you want coupons from Hot Pockets, then fill out the form on this page. Huggies is another company with a contact form that you can use to request coupons in the mail. To get your coupons, visit this page. Then, just fill out a simple form. You’ll need to let the company know why you’re contacting them, and provide information like your name and address. In the drop down menu in the “reason for contacting us” section of the form, there’s actually an option that says “coupons and offers,” which is handy! So make sure that you select this option if you want Huggies coupons mailed to you. On the form, you can also select the product that you’re interested in, which is great! Breakfast brand Hungry Jack has been known to send out coupons in the mail. To get in touch via an online contact form, select the “general questions” or “product questions option” and you’ll be taken to a contact form. Just fill out the form to get in touch with Hungry Jack. If you would prefer to get contact Hungry Jack by phone or letter, then you can just visit the page that we linked to above, and rather than clicking on anything, just scroll down for the brand’s phone number and mailing address. Indiana Kitchen, which offers premium pork products, is another company to contact for coupons in the mail. Just visit this page and fill out the contact form to request your coupon. You can get in touch with Inn Maid Noodles in a number of ways to request coupons. You can email Inn Maid Noodles using an email form. Also, you can get in touch with the brand by letter or by phone. Visit this page for the contact form and for the brand’s phone number and mailing address. Imagine Foods has a form that you can fill out on its website. Just fill out this form to request your coupons. You’ll just need to enter some basic information about yourself, such as your name and address. You can then use the box at the bottom of the form to let the company know that you want to request coupons. Idahoan Potatoes has a contact form on its website that you can use to get in touch with the company. There’s also a contact number below the form that you can use to call Idahoan Potatoes. You can call, write to, or email Jack Daniel’s Mustards to get free coupons by mail. Just visit this page to contact Jack Daniel’s Mustards. Save money on peanut butter with Jif coupons. The brand has been known to mail out coupons – all you have to do is ask. Just visit this page of the Jif website, and fill out the contact form to request coupons. There’s also a phone number and a mailing address on the page that we linked to above that you can use to contact Jif for coupons. You may be able to get Johnson & Johnson coupons by contacting the company. You can contact the company by phone or write a letter to them requesting coupons. Also, you can fill out a contact form to ask for coupons from Johnson & Johnson. Just visit this page to view the contact phone number, mailing address and form. To get in touch with Johnson & Johnson through its contact form, just select a reason from the “why are you contacting us” drop-down menu. Then a form will appear that you can use to request coupons. Save money on frozen Mexican dishes with José Olé coupons. You can get your coupons from José Olé by visiting this page on the brand’s website and then filling out the contact form. Get Juicy Juice coupons by requesting them from the brand. Just visit this page and fill out the contact form, or scroll to the bottom of the page for Juicy Juice’s contact number if you want to get in touch with the brand by phone. Kashi, which offers protein snacks, whole grain cereals, and other foods, has been known to provide coupons to customers who request them. You can contact Kashi by email, by phone, or by letter. If you want to get in touch with the brand, then visit this page. Then get in touch with the company! Kellogg’s is one of the world’s biggest cereal brands, with a huge variety of different cereals in stores throughout the country. You can save money on products from Kellogg’s by contact the brand. You can call, text or write to the brand. But the best way to contact the company if you want coupons is to use the contact form the website. You can find this form here, as well as the contact number and address for the company. You can email, write to, or phone Kettle Chips to request coupons. Just visit this page to get started with contacting the brand. You can get in touch with Kleenex by phone, mail, or email. Just visit this page for the brand’s contact details. You’ll then be able to see the contact form. Get Knorr coupons by getting in touch with the brand. There are quite a few ways to contact Knorr – all of which you can learn more about here. You can write to the company, use the live chat feature to talk to one of the brand’s customer support agents, call the company, or use the contact form to contact Knorr. Kraft Foods is one of the biggest food brands in the world, and it sometimes gives out coupons to customers. All you need to do is visit this page and fill out a simple form. You’ll need to provide basic details, like your age, and let the company know the subject of your message. LACTAID, which offers lactose-free dairy products, provides coupons to customers who get in touch. Visit this page to contact the brand. You can also call the brand – the number is on the page that we linked to above. Lea & Perrins has a contact form on its website that you can use to request coupons. In fact, one of the options in the drop-down menu under “why are you contacting us?” is “coupons.” So make sure that you select this coupon option when you fill out the form. Get Lean Cuisine coupons by filling out this contact form. You can also contact the company by phone – you can find Lean Cuisine’s phone number on the contact form page that we linked to above. Popular hot tea and ice tea brand Lipton sometimes gives out coupons in the mail. Just fill out the contact form or call the relevant number on this page to request your coupons. Little Crow Foods has a contact form that you can fill out here to request some coupons from the brand. Save money on cleaning products and sanitizers with Lysol coupons. You can get in touch with Lysol over the phone, via email submission form, or by letter. Visit this page to contact Lysol. Get a discount and great deals on M&Ms products with coupons. Just use the contact form on the company’s website to get in touch. You can also email, write to, call, or text the brand to ask for coupons in the mail. Visit this page to contact M&Ms. You can save money on salad dressings, dips, and more with Marzetti coupons. There are a few ways you can contact Marzetti. You can use the email form on the brand’s website, or you can call or text the company. Also, you can write to the company to request your free coupons. Do you want to save money on makeup? If so, then get in touch with Maybelline. Maybelline has been known to mail out coupons. Like with all of the companies on this list so far, all you need to do is get in touch and ask. There’s a contact form that you can fill out or you could contact the company by phone – visit this page to contact the company. Oil and bouillon brand Mazola may give you free coupons in the mail. Just use the email form on the website or contact the company by phone to request your coupons. You can contact McCain Foods in a few different ways. To contact McCain Foods, you can phone the brand, or you can fill out a contact form. Visit this page to get in touch with McCain Foods. Save money on spices, condiments, and more with McCormick coupons. Or you can contact the company by phone. Visit this page to contact McCormick. Save money on Mt. Olive pickles by contacting the brand. Mt. Olive may send you coupons in the mail. You can fill out the contact form on the website. Or you can call or write a letter to the brand. If you want to save money on skincare products, then contact Nivea. The famous skin care brand sometimes mails out coupons to customers that request them. You can use the contact form on the Nivea website to contact the brand, or you can call Nivea. Use this page to request your coupons. You can save money on cookies and other snacks with coupons from Nonnis. You can use a contact form to contact Nonnis. Or you can call or write to the brand. Northland Juices has a contact form that you can use to get coupons. You can also call the company on the number featured on the page that we linked to above. Cranberry juice and snacks brand Ocean Spray might send you coupons if you get in touch. You can email, call, or write to Ocean Spray, and ask to get some coupons sent to your home. Just visit this page to contact Ocean Spray. If you want to save money on dental products, contact Oral-B. You can get in touch by phone, email, or by using the live chat feature on the website to speak to a customer support agent. You can save money on premium bread with Oroweat coupons. There are a few ways you can contact Oroweat. Or, you can fill out an online contact form. Also, you can contact the company through the online chat feature and talk to a customer service agent. Visit this page to contact Oroweat. You can get discounts on cleaning products with OxiClean coupons. Just fill out the contact form on this page to ask for your coupons. You can save money on cleaning products and household supplies with Pine-Sol coupons. You can call or email the brand. Just visit this page to contact Pine-Sol. Pinnacle Foods has a contact form you can use to get in touch with the company. You can use the form on this page to request coupons from Pinnacle Foods. Pinnacle Foods owns a variety of brands, such as Birds Eye, Aunt Jemima, and Mrs. Butterworth’s. Plum Organics sells organic baby food, formula, and snacks. You can get coupons from the company by phone or by filling out a contact form. You may be able to get Quaker Oats coupons if you get in touch with the brand. Just visit this page and then choose the contact option that best suits you. You can contact Quaker Oats by email, letter, or online chat. Save money on toilet paper with Quilted Northern coupons. You can call, email, or write to the company. To contact Quilted Northern, visit this page. You can get a discount on authentic New York bagels with coupons from Ray’s New York Bagels. Just fill out this contact form on the brand’s website to request your free coupons in the mail. You may be able to get Revlon coupons in the mail if you contact the brand. Just fill out the form on this page – or call the contact number to get in touch over the phone. Romanoff Caviar has been known to mail out coupons to customers who request them. Get your coupons by visiting this page and filling out the contact form. You can also call or write to the brand. Get a discount on Sensodyne products by contacting the company. You can email or call Sensodyne. Just visit this page to get the brand’s contact number and email address. Farm-raised turkey brand Shady Brook Farms sometimes mails coupons to customers. Or, you can call or write to the brand. Also, you can use the live chat feature on the website to chat with a customer service agent. If you want some Smucker’s coupons, then there are a few ways you can contact the brand. You can call the brand, get in touch online, or write to the brand. To contact Smucker’s visit this page. Fill out this form to request Starkist coupons. You can also contact Starkist by phone or by letter. Get a discount on juice with Tropicana. You can email or call the brand. Or you can use the online chat feature to speak with a Tropicana customer service agent. Visit this page to contact Tropicana. Tylenol is another brand that has been known to offer coupons to customers who ask for them. Then, select a reason from the “why are you contacting us” drop-down menu and a contact form will appear. Fill out the contact form to request your free coupons. Get a discount on fresh and frozen chicken with Tyson. Just complete the contact form on this page. You can also call or write to the company. Save money on tampons, liners and pads with U by Kotex coupons. You can get in touch with the brand here. You can call or write to U by Kotex to request your free coupons in the mail. You can get a discount on a variety of Uncle Ben’s products by requesting coupons from the brand. Get Uncle Ben’s coupons by visiting this page. Then, fill out the contact form, or call the brand’s phone number. Phone Van’s Foods or complete the contact form on the brand’s websites to get coupons in the mail. To get a discount on Viva paper towels, visit this page. Just ask the brand to send some coupons to your home. You can contact Viva by filling out the contact form or by calling the brand. Cat food brand Whiskas offers coupons to customers that request them. A pop-up contact form will appear. There’s actually a “coupons or samples” option that you can select as your reason for contact. If you’re looking to save money on cat food and treats, then it’s definitely worth contacting Whiskas. Get money off Wonder Bread products by asking the brand for coupons. You can call Wonder Bread or use the form on the Wonder Bread website to contact the brand. Visit this page to request your coupons. Bouillon brand Wyler’s has a contact form that you can complete to get coupons in the mail. There’s even a “coupon availability” option in the drop-down menu under subject. To contact Wyler’s, visit this page. If you want to save money on laundry detergent, then contact Xtra Laundry. You can contact the brand by phone or by letter. Get the company’s contact number and mailing address here. Organic tea brand Yogi Tea sometimes offers coupons in the mail. You can call, write to, or email the company. Visit this page and scroll down to the bottom for Yogi Tea’s contact information. You can save money on nasal congestion, cold, and allergy relief products with Zicam coupons. Just visit this page and fill out the contact form or call the number above the form. Get a discount on allergy relief medication with Zyrtec coupons. Just visit this page – and click on the arrow next to “why are you contacting us?” and a contact form will appear. Fill out the contact form to ask for Zyrtec coupons. The companies above have a contact form or an email address that you can use to get in touch and request free coupons. But, this isn’t the only way that you can get free coupons in the mail from companies. Some manufacturers, brands, and retailers have an email list that you can sign up to and receive coupons to your email address. Some of these coupons will be printable too. It’s a good way to get some extra coupons – you might not get them to your mailbox, but you’ll still get them to your inbox. Also, some brands have rewards programs that you can join for free coupons. Some of these brands will even mail these coupons to you, whereas others will offer printable and digital coupons. So check out these email lists and rewards programs to get even more coupons. Enfamil offers up to $400 worth of gifts! That’s an impressive amount of free stuff, which includes coupons. As a member of the program, you get free samples, coupons (high value ones too!) and other special offers. You also get the chance to win free formula for a year. Plus, you get free nutrition advice. Sign up for Enfamil Family Beginnings here. Similac Strong Moms is a program that you can join to get up to $400 worth of exclusive benefits. You’ll get coupons from the program, as well as free samples and expert nutrition guidance. Sign up for Similac Strong Moms here. Create an account on the Luvs website, and make sure that you check the option near the bottom to opt-in to receive emails from Luvs. If you opt in to receive emails, you’ll get exclusive coupons sent right to your inbox. You’ll also get details about free samples. Create your Luvs account and sign up for emails from the brand here. You can get Angel Soft coupons by opting to recieve the brand’s email list. Just visit this page and then click on the coupon that you’re interested in. You’ll be taken to a new page where you can enter your email address. Then, you’ll receive Angel Soft coupons, as well as details about free samples! If you join the CVS ExtraCare Rewards program, you get access to coupons from the ExtraCare Coupon Center. These coupon centers are red kiosks that feature in CVS stores. Just visit the coupon center, and you’ll be able to print out coupons. Sure, they’re not being sent straight to your mailbox, but this is such an easy way to get paper coupons. Plus, you don’t have to wait to get them in the mail! Sign up for CVS ExtraCare here. One of the easiest ways to get coupons sent right to your mailbox, aside from requesting them from brands, is to simply buy them online. No, it’s not free, but it’s pretty low-cost and if you are serious about couponing, then it’s definitely worthwhile. You can get coupons for as little as $0.04 – but these coupons save you far more than that. Now, it’s important to note that selling coupons is actually illegal. But, it’s legal to charge people for a coupon clipping service. So, with the services below, you pay the person for their time and for mailing out the coupons to you, rather than for the coupons themselves. So that’s basically how it works. Above, we’ve given you a wide variety of ways to get coupons mailed right to you. And, getting coupons mailed to you is great – it’s convenient, and you get a bunch of paper coupons that you can use when you go shopping in-store. If you like to shop in-store, rather than just online, then paper coupons are definitely your friend! But, getting them mailed out to you isn’t the only way that you can get your hands on them. You can also get paper coupons in a few other ways. They might not be mailed out to you, but they are totally free! Our first tip is to check out the websites of your favorite stores and brands. Many well-known brands and retailers provide coupons right on their websites. And, we’re not just talking about digital coupons here. No, you can actually find printable coupons. Whether it’s groceries, beauty products, or clothing, you can find so many great coupons across a variety of categories for a range of brands and products. And, all you need to get these great coupons is a printer. If you don’t have a printer, then you can easily pick one up for a low price online. You can get a new one for less than $80 on Amazon. Or, you could get a used one for less than $40 on a website like eBay or Craigslist. A printer can be a good investment if you’re serious about couponing. If you don’t have a printer or don’t want to purchase one, then you can always ask to use a friends or family member’s printer. Just be courteous and bring your own paper. Your local library – some libraries allow you to print coupons and others don’t so do check with the staff there before you print anything. Your apartment complex – some apartment complexes have a leasing office that includes a small business center, which has a printer. So you might be able to use their printer to print out coupons. Just ask. And, it offers coupons through its website P&G Everyday! So on its website, you can find coupons for a wide variety of products. Proctor and Gamble have printable coupons in addition to digital ones. Getting these coupons is so easy as well. Just visit this page and you’ll be able to browse printable coupons. Once you’ve selected the coupons you want, click on the basket. There’s a button that says, “print coupons.” Just click that button and you’ll get your coupons! Betty Crocker offers printable coupons. To get them, visit this page. Browse the selection of coupons that are on offer. You can find coupons that save you money on everything from cereal to protein bars. Then, in the bar above the coupons, there’s a red print button on the right side. Click this button to print the coupon you selected. You can select coupons individually, or you can check the box in the bar above the coupons that says “select all”. Pharmacy Rite Aid provides free manufacturer coupons that you can print out. At the time of writing, there were coupons available for well-known brands, like Kellogg’s, Claritin, Big G Cereal, and Windex. It’s really easy to get these coupons. Browse the coupons that are available. You can even filter the available coupons by category. Click on the coupon you want, and then a red button that says “print coupons” will appear at the top right side of the page. Next to this red button there’s a number that tells you how many coupons you’ve clipped. You can add more coupons if you want to. Del Monte Foods, which provides garden quality fruits and vegetables, provides printable coupons on its website. Some of them are high value coupons as well, being worth $1 or more. Take a look at the printable coupons that are on offer here. Are you looking for Hefty coupons? Then check out the brand’s website. Just visit this page to view printable Hefty coupons. Then, just click on “get coupon!” to select the coupon you want. Those are just a few examples of stores and brands that provide printable coupons on their website. But, there are many other brands that do this – so we’d recommend visiting the website of your favorite brand or store, and then seeing if they have a coupons section. 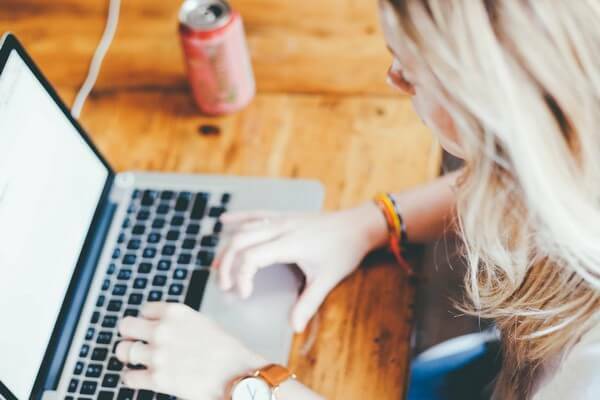 When you think of coupon websites, you probably think of promo codes and digital coupons that you use when you’re shopping online. While coupon websites certainly do feature digital coupons, many of them feature printable coupons as well. All you need is a printer and some paper, and you can get tons of paper coupons that you can use to save money. On the websites below, you can find printable coupons for a huge range of products and stores. These websites are easy to navigate and they have coupons available for a huge range of brands and companies, which is great. Another place to find paper coupons is in coupon booklets and inserts. Many stores offer them, as do a lot of local and national publications. You can often find pretty high value coupons too. Here are a few places where you can get coupon inserts for free as well as free coupon booklets. While coupon websites are great for finding printable coupons, for paper coupons, Sunday Newspapers are still one of the best sources. This is because they often contain high value coupons – these can save you a lot of money. What puts people off getting coupon inserts from the paper is the cost. Most people don’t want to spend money, if only a few dollars, to save money. Visiting your local library and asking if they have any coupon inserts available. At the Dollar Store. While the Dollar Store might not have free papers, it does sell them for just a dollar, meaning you can get a paper at a third of the price. Many supermarkets, grocery stores, supercenters, pharmacies, and drugstores offer coupons on flyers in-store. Some provide coupons in booklets and on bulletin boards in-store as well – so it’s definitely worth taking a look. Walgreens: Near the front of the store, Walgreens offers Weekly Ads and monthly coupon booklets. Both of these offer some great coupons, so do check them out. Aldi: In Aldi’s Weekly Ad flyer, you can find discounts and great deals on a wide range of products. Generally speaking, Aldi releases its Weekly Ad on Wednesdays – so that’s a good day to visit the store, as you’ll get the best deals! Walmart: Sometimes, Walmart has coupons on it’s in-store bulletin boards or flyers. You can find these coupons near the entrance of the store. Before you start shopping, it’s worth checking to see if there are any coupons available at the store. Of course lots of stores provide coupons in-store. So it’s definitely worth checking at supercenters, local grocery stores, or wherever it is that you’re shopping to get your hands on some coupons. It’s such an easy way to get more paper coupons. Take a look at any flyers, booklets or other promotional materials next time you are shopping, and don’t forget to check out store bulletin boards for great deals as well. You’ll likely find great coupons that will save you lots of cash in-store. Another easy way to get paper coupons is by using Catalina coupons. Catalina coupons are those that print out at the register when you check out. Often, they’re high-value, so they can save you a lot of cash. So, don’t leave them behind! This is another easy way to get coupons that you can use in-store. Coupons really can save you a lot of money – so we’d highly recommend using them. You can find them for everything from groceries to electronics! And, getting them in the mail really is so convenient. The problem is that most people don’t know where to even start getting coupons mailed to them. After all – it’s not like all companies actually advertise that they hand out coupons to those customers who ask for them. But, it’s much easier than you think. Getting coupons from a company can be as simple as sending a quick email. And, getting them mailed to you isn’t the only way you can get paper coupons. As we stated above, there are so many other ways to get paper coupons. If you want coupons sent right to your house, then contact one of the companies that we listed above. Or if you just want paper coupons in general, then try out one of the methods we method above, like getting free Sunday papers or checking at your local grocery store. Give these methods a try and get free coupons by mail. Also, let us know in the comments section below if you have any tips on how to get coupons mailed to you. What an incredible resource! Who doesn’t want free coupons? Thanks for this extensive list.